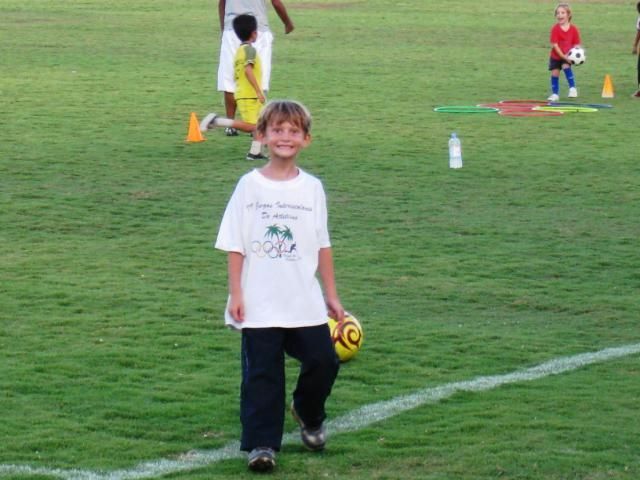 Have you been looking for an extracurricular, after school soccer program for your young son(s) ages 6 - 13? 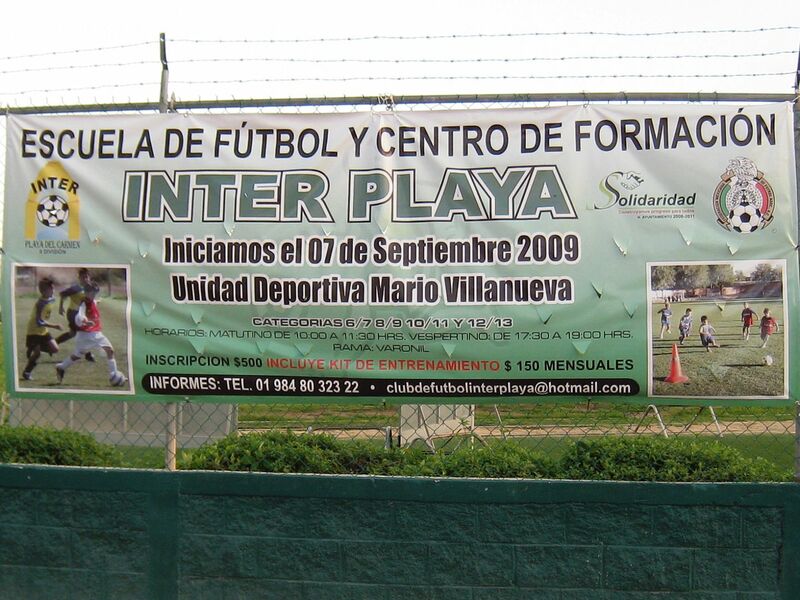 Inter Playa, Playa del Carmen's Divisional Soccer team, has begun its own youth league and training program for young boys. The coach, Ramon, speaks Spanish and some English and has worked with several professional teams. He is very nice and patient with the children. Whether your child is just beginning soccer or has previously played on a team, this community youth league may be a perfect fit. Children from many local schools are participating so your child will have an excellent opportunity to make new friends while he perfects a new sport. 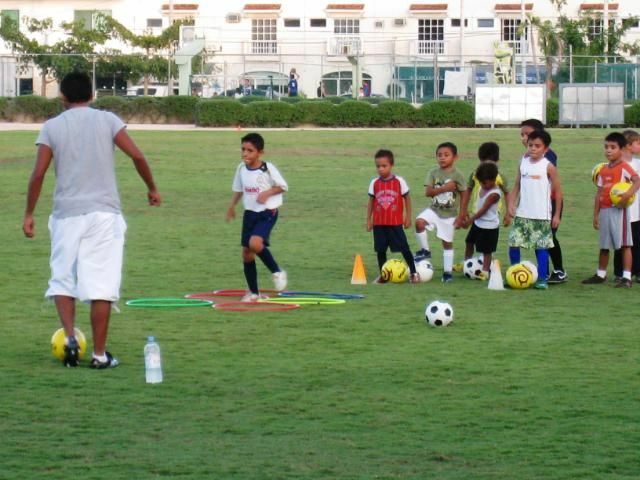 There are two age groups available: Boys ages 6,7,8, and 9 meet every Tuesday and Thursday from 5:30 pm to 7:00 pm at the Mario Villanueva Stadium in downtown Playa del Carmen. Boys ages 10,11, 12 and 13 practice at the same time and place, Monday, Wednesday and Friday. To sign up, simply come to the northwest entrance of the Stadium (Avenida 20 and Calle 34) any weekday at 5:30pm and inquire in the office behind the ticket booth. Bring a copy of your child's birth certificate and a copy of your identification. The cost is just $150 pesos per month and you can join in at any time. 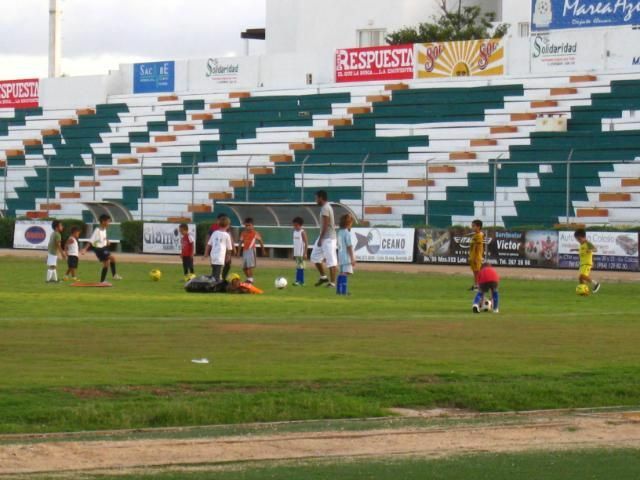 For more information, you may also email clubdefutbolinterplaya@hotmail.com or call 984-803-2322. Cole started last week, so perhaps we will see you there! Tuesday, November 03, 2009 12:30 AM by "Life's a Beach"